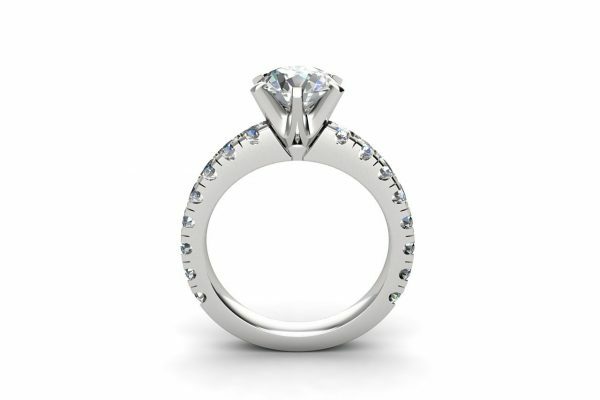 This elegant diamond engagement ring features a GIA certified brilliant centre diamond set in six claws and is perfectly complimented with a diamond band which consists of 17 brilliant cut diamonds. 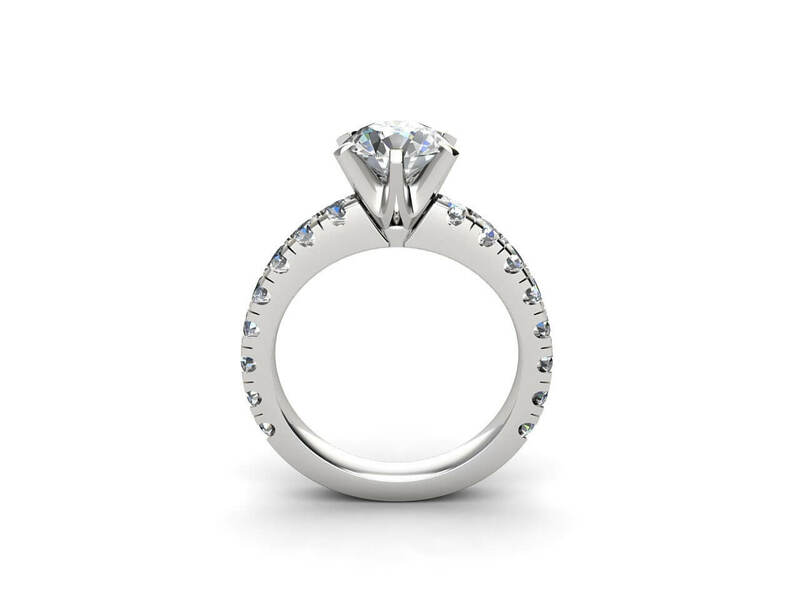 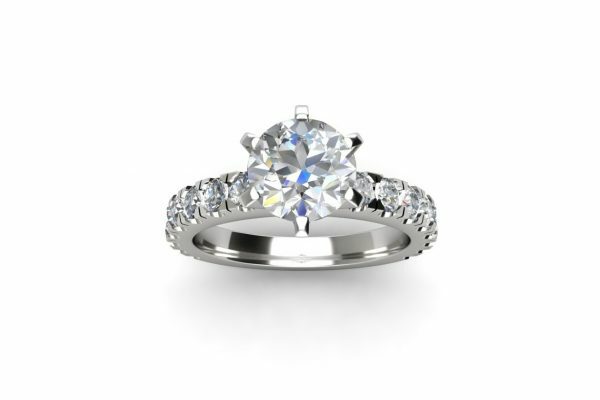 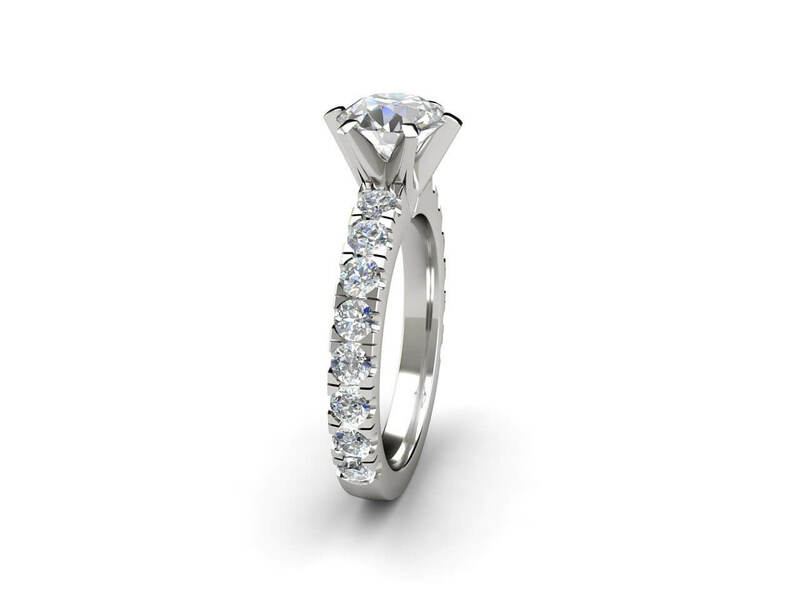 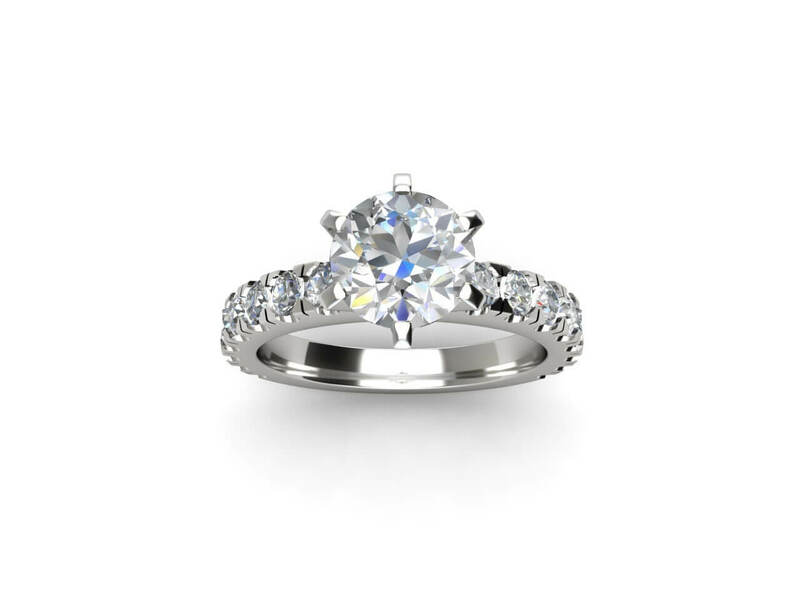 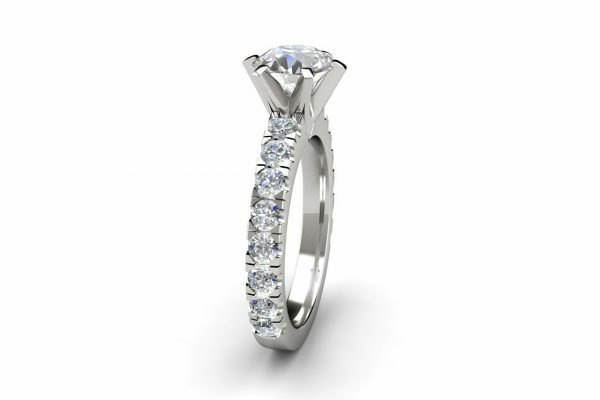 This design can be custom made in 18k white gold, yellow gold, rose gold or platinum. 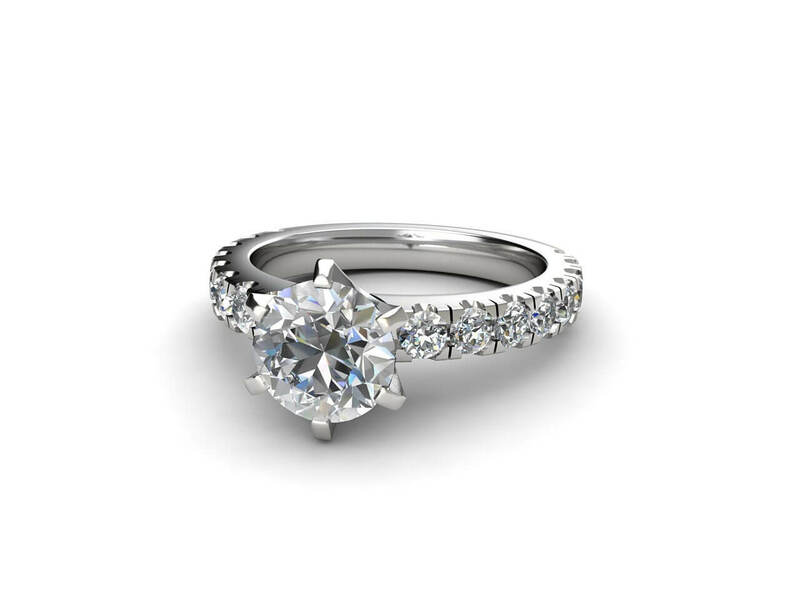 The size of the centre diamond can range anywhere from 0.70ct to 2.00ct. 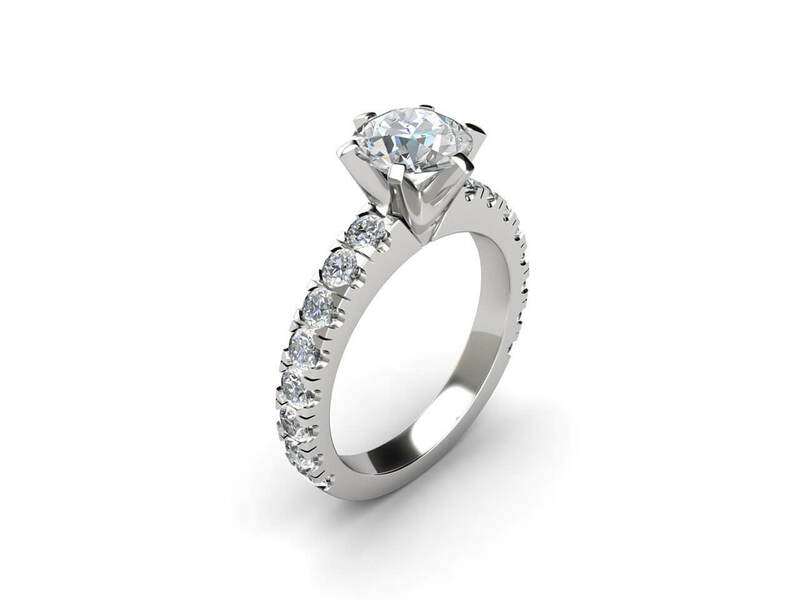 The Tiffany diamond engagement ring can be worn with a plain wedding ring or a matching diamond wedding band. 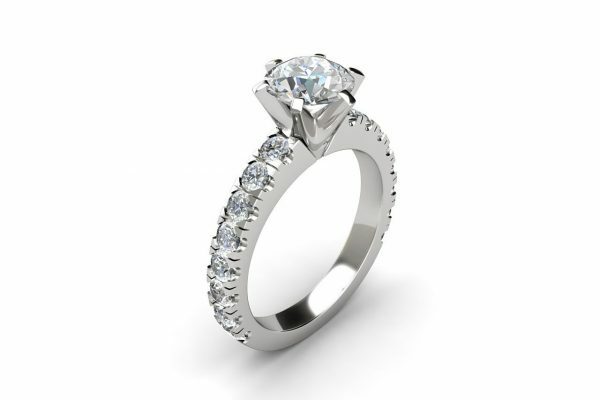 Weight side stones: 0.96ct aprox.